Galaxies are giant structures made of dust, gas, stars and other celestial bodies spread through an immense area of space. 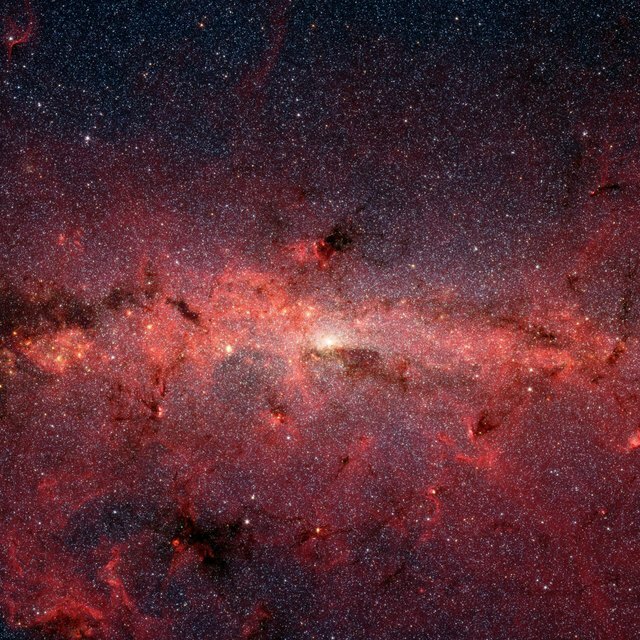 Our own galaxy, the Milky Way, consists of more than a hundred billion stars strung across tens of thousands of light years. Galaxies are broken down into three basic shapes, with many different subtypes. Elliptical galaxies run the gamut from nearly spherical to oblong. They are categorized by how oval-shaped or elliptical they are. Elliptical galaxies house their brightest stars in their centers and gradually grow dimmer toward the periphery. All the stars at the same distance from the center have about the same brightness. Elliptical galaxies do not rotate as a whole. Rather, the stars have individual and seemingly random orbits around the galaxy. Elliptical galaxies generally have reddish light, which indicates their stars are old. They have little dust and do not form many new stars. Astronomers believe all elliptical galaxies formed during roughly the same time period. Spiral galaxies are the most familiar in popular culture--after all, our own Milky Way is a spiral. A spiral galaxy has a bright bulge in the center with spiral arms that radiate outward in a plane, giving the whole galaxy a shape somewhat like a flattened pinwheel. New stars form in the dust in the spiral arms. The spaces between the spiral arms contain old, dim stars and the bulge at the center of the galaxy is also older than the rest. 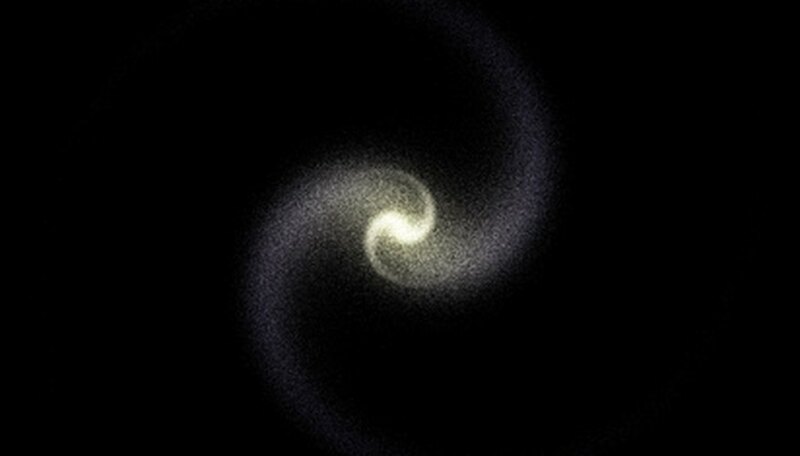 Spiral galaxies rotate like giant wheels. They are classified by how long their spiral arms are and the shape of the bulge at the center. Irregular is not really a shape, but rather a catch-all term for galaxies that don't fit into the other two categories. Irregular galaxies are rarer than the other two, and much smaller, often containing only a few million stars. Type I irregular galaxies have blue stars, a stable structure and are flattened disks, but without the prominent nucleus of spiral galaxies. Type II are the rarest of all, and include a wide variety of unusual galaxies. What Are the Different Sizes of Stars? David, Isaiah. "What Are the Three Shapes of Galaxies?" Sciencing, https://sciencing.com/three-shapes-galaxies-6391316.html. 24 April 2017.